NSA now using natural gas to power…whatever it is that the agency does. We're adding a few items to our recent fuel cell roundup. Despite the inability of any fuel cell firm to make a profit, Bloom Energy continues to sell and deliver its solid oxide fuel cells to a number of big-name customers. The decade-old VC-funded startup's most recent announcement is that the U.S. Department of Defense has installed a 1.6-megawatt Bloom fuel cell set at the NSA campus in Fort Meade, Maryland. The prime contractor on the project is ARGO Systems, which describes itself as "a Service-Disabled, Veteran-Owned Small Business headquartered in Hanover, Maryland." Jeff Johnson, ARGO's COO, said in a release that this is the "first-ever solid oxide fuel cell powering a DOD facility." ARGO has declined to comment, as has Bloom. I will assume that the NSA knows we've been asking about the agency and will get back to us with a response when it is ready. The New York Times reported last week that Toyota will allow its battery supply contract with EV builder Tesla to expire, in order to focus on manufacturing fuel-cell vehicles. Toyota had invested $50 million into the EV upstart in 2010. Toyota's RAV4 crossover sport utility vehicle incorporated Tesla's electric powertrain, but "sold poorly, despite low-cost lease and loan offers," according to the article. How Green Is a Bloom Box? ClearEdge Power filed for bankruptcy last month in a tangled tale of acquisition, venture capital, bankruptcy and undelivered technological promises amidst embellished executive chatter. ClearEdge sent its UTC employees in South Windsor, Connecticut home, according to Hartford Business, which reports that the firm "may file for bankruptcy," quoting South Windsor Town Manager Matthew Galligan, a ClearEdge customer. ClearEdge Power is a VC-funded fuel cell firm which acquired some of the fuel cell assets of UTC in 2012. As we wrote last year, ClearEdge, presumably already losing money as a growth-stage startup, had added a money-losing business unit to its list of fuel cell challenges. 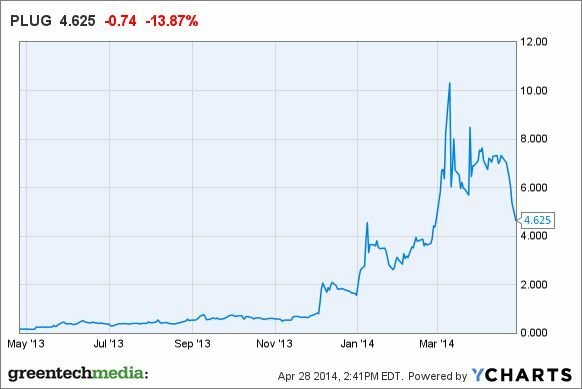 Last month, CEO David Wright told Greentech Media that ClearEdge would be gross-margin-positive in the third quarter and cash-flow-break-even in the last quarter of the year. Wright said the fuel cell could be economically viable without subsidies by 2016. The CEO told GTM that the company has gotten "five or six banks," including Macquarie, to provide a $400 million line of credit "to finance this stuff." This weekend, one of the Connecticut UTC employees told Greentech Media, "We were expecting furloughs because we had received paperwork the day before. By 9:20 the next morning, we were told to leave and that we would be paid through Friday. As of this time, we don't even know whether we have a job there or not." The source continued, "Hourly employees were sent home [Thursday] because there is no work. ClearEdge stopped paying their vendors for parts and now there is no work for the employees of ClearEdge Power in South Windsor, Connecticut. They owe a ton of money to their vendors, accounts have been closed, and executives are cleaning out their desks." Here's a refresher on ClearEdge: The Hillsboro, Oregon-based company raised more than $136 million in VC funding since its founding in 2006 from Kohlberg Ventures, Applied Ventures (the investment arm of Applied Materials), Big Basin Partners, and Southern California Gas Company to develop and build a proton exchange membrane-based fuel cell for residential and small commercial applications. ClearEdge's core product was a modular PEM fuel cell going after combined heat and power (CHP) applications at hotels, multi-tenant buildings and schools, with power ranging from 5 kilowatts to 200 kilowatts. The fuel cell can export excess heat for hot water, forced hot air, or hot-water cleaning. In December 2012, ClearEdge acquired the fuel cell business of technology conglomerate United Technology Corporation (UTC). UTC Power was a maker of large-scale phosphoric acid fuel cells (PAFCs), although the firm also has experience with PEM, alkaline, solid oxide, and molten carbonate fuel cells. CEO Wright estimates that UTC invested roughly $1 billion in the technology over the last 30 to 40 years. ClearEdge switched out its core PEM product to the UTC phosphoric acid technology for its 5-kilowatt and 400-kilowatt products. The natural-gas-powered UTC 400-kilowatt fuel cell unit had a reputation in the industry as one of the higher-performing products. But all the aspirational, obfuscatory language of David Wright, the CEO, cannot make ClearEdge profitable. A ClearEdge official called South Windsor's Town Manager Matthew Galligan Thursday "and told him that the company's backers were looking to exit the fuel-cell business, possibly through a bankruptcy or sale." The backers of the firm are Kohlberg Ventures, Applied Ventures, Big Basin Partners, and Southern California Gas Company. Steven R. Gerbsman of Gerbsman Partners, ClearEdge's crisis handler, had no comment. The Hartford Courant reports that there are nearly 100 union workers at the plant. ClearEdge also has offices in Oregon and California. In a curiously timed, UTC-related announcement, Ballard Power acquired UTC's transportation- and stationary-related fuel cell IP assets for $22 million, with $2 million in cash and the balance in common shares. If UTC still has hundreds of fuel cell patents to sell to Ballard Power, then what did ClearEdge acquire when it acquired UTC? We've asked ClearEdge crisis manager Steve Gerbsman for a comment. Vancouver-based Ballard has not had a single profitable year since its founding in 1979. Plug Power raised more than anticipated in an offering of 22,600,000 shares of its common stock at $5.50 per share for a total of $124,300,000 in gross proceeds. It was the firm's largest stock offering to date. The WSJ's Money Beat reported that Plug Power was "a darling of day traders and a target of short sellers in recent months." The fuel cell firm's shares have gained "37-fold over the past year and now have the fourth-highest 30-day average daily volume among stocks in the Nasdaq Composite Index," according to the report. Plug Power targets its PEM fuel cell system at powering forklifts and other vehicles in the $20 billion materials-handling market. We spoke with Andy Marsh, Plug Power's CEO, late last year. "We sell industrial productivity," said Marsh, citing the 4,000 Plug Power units on forklifts that are now deployed in 42 warehouse and distribution centers. The largest customers include Wal-Mart with 500 units and BMW with 300 units, as well as Coca-Cola, FedEx, and Lowe's. 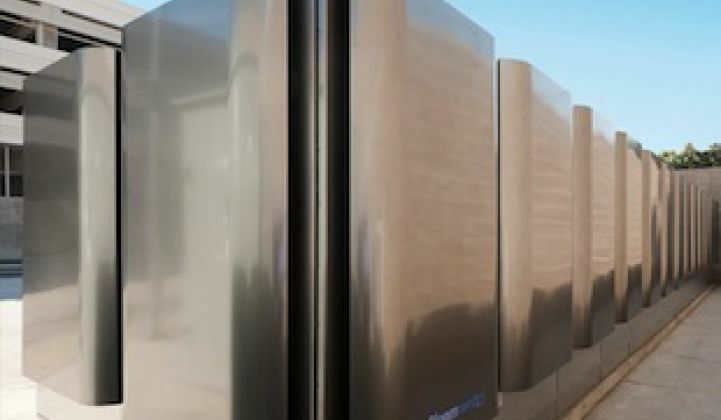 Approximately 9 percent of the fuel cell firm's outstanding shares are on loan to short sellers, according to the report, citing data provider Markit. The report also notes, "Plug has repeatedly diluted existing shareholders with five offerings since the start of last year, and the latest offering increased its share count by 21%, according to a regulatory filing." Plug Power has never posted a profit. Total revenue for the fourth quarter of 2013 was $8 million. For the full year 2013, total revenue was $26.6 million. Net loss for the fourth quarter and year ended 2013 was $62.7 million. The company has a market cap of $773 million. According to Delaware Online, "A judge has allowed [Fuel Cell Energy] to proceed with its case against the state-sanctioned surcharge on Delmarva Power bills." In a skewed utility ratepayer deal, every Delmarva Power electricity ratepayer in Delaware pays a surcharge to Bloom Energy. It has worked out to about $5 per month so far. Bloom provides power to the grid via natural-gas-supplied fuel cells, as well as providing Delaware manufacturing jobs. Lawmakers changed laws to allow the natural gas feedstock to fulfill state renewable power purchase requirements. 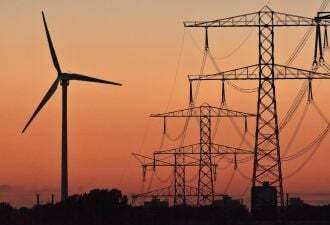 "U.S. District Court Magistrate Judge Christopher Burke ruled that FuelCell Energy, of Connecticut, has standing to pursue its case saying that Gov. Jack Markell and the Public Service Commission violated the U.S. Dormant Commerce Clause in changing state policies," according to the reports in Delaware Online. The judge "denied standing to Middletown resident John Nichols to pursue that claim, and dismissed his accusation that the Bloom subsidy violates the U.S. Equal Protection Clause of the Constitution by requiring only one class of Delaware ratepayers -- Delmarva residential customers -- to pay the surcharge." Lawyers for the defendants said, "We are gratified by the decision of the court, which is largely a victory for the defendants," in an email released by Gov. Markell's office.